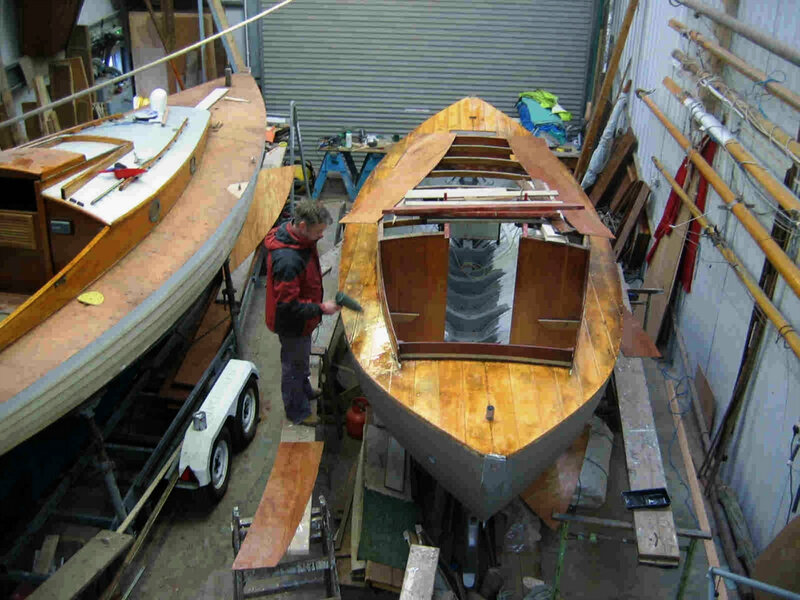 Nick Gates & Co is a traditional workshop based at Thornham Marina, near Emsworth in Hampshire. 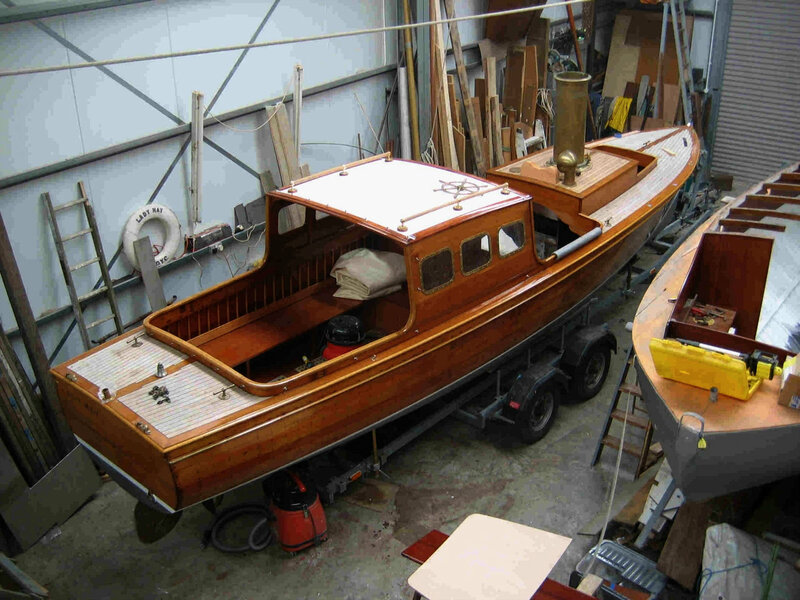 Set up in 1999 by boatbuilder Nick Gates, the company specialises in the repair and restoration of wooden boats and looks after a wide range of craft, from clinker dinghies, to classic racing yachts, steam launches and gentleman’s motor yachts. 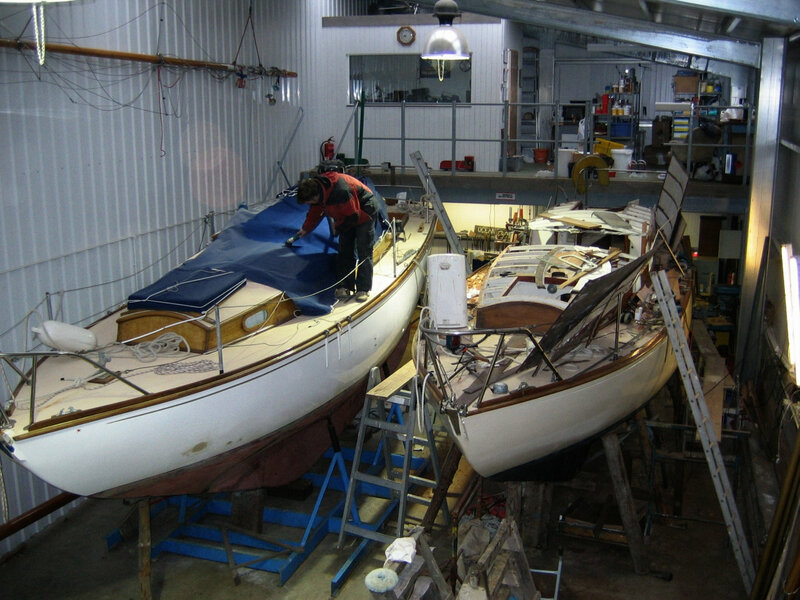 Nick trained at the International Boatbuilding Training College in Lowestoft before joining the renowned Combes Boatyard in Bosham, where he worked until the yard closed in 1999. 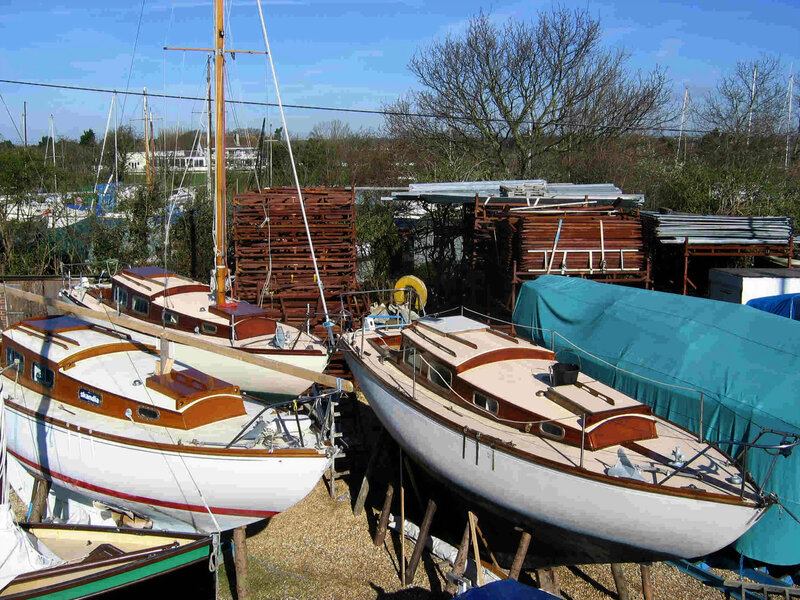 Boats being worked on in the yard at the moment include Lady May, a 1930s Camper & Nicholson launch, which came to the yard for finishing and to have its interior put back in, and Girouette, a Hillyard-built boat that has been in the same family for nearly 50 years. Partially restored by Combes in the early 1990s, she has since been laid up, and is now at Nick Gates & Co for a new deck, interior and engine. Nick also specialises in the Nicholson-designed, 26ft South Coast One-Design (SCOD), and in recent years five of the local fleet have visited the workshop. The jobs carried out on these boats have included a total rebuild, new decks and coachroof, external varnishwork and mast repairs. This page from the site might be particularly interesting to anyone who has been interested in the progress of Gadfly II – note the strong resemblance.